Shamans have known for millennia that dreams can open a portal to rapid healing, guidance from the “higher” levels of reality and the wisdom of our ancestors — information that can have an immediate positive impact on your life and even help heal our planet. If you’ve suspected that these powerful healers were right and that your dreams do hold greater possibilities for you than your waking life, then I’m thrilled to connect you to a special online presentation featuring dream work expert Robert Moss, who is also the bestselling author of Dreaming the Soul Back Home and 13 other books on the transformative power of dreams. 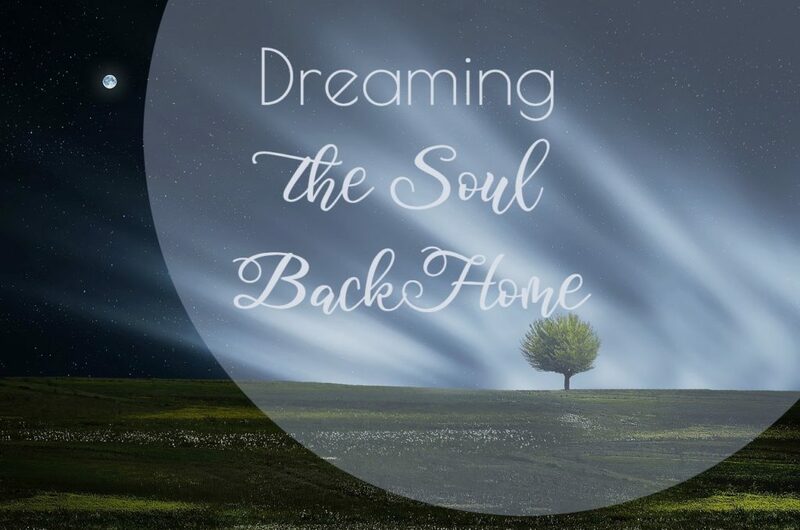 Robert will present a free online event, Dreaming the Soul Back Home. You can register here. Have you suspected that far more is possible than passively waiting for (and barely remembering) your dreams? Around the world, shamans have pioneered a more powerful, valuable and fascinating way to approach dreaming — seeing it as a time for transformation, healing and receiving guidance from higher levels of reality as well as journeying into the past and future. Throughout history, those who dream strong — those who can enter other realities at will, scout the future, dialogue with the spirits and dream for others — have had a special place of respect as shamans and seers, healers and creators, priestesses and poets. Shamanic dream work can literally save your life… and quite possibly, humanity’s future. That’s because you can access levels of wisdom that are simply not available through other means. In this free online event, you’ll get a unique opportunity to hear about a little-known lineage of shamanic dream practice from the Iroquois people that will challenge your very understanding of reality. The story begins with how the teaching was even transmitted: Some 25 years ago, bestselling author Robert Moss began receiving a series of dreamtime visitations from an Iroquois shaman he called “Island Woman,” who came to teach him advanced dreaming and consciousness-awakening practices. In the Mohawk language, the word for shaman or healer is ratetshents, which literally means “dreamer.” Robert’s life was changed by his visionary encounters with this ancient shaman and Mother of the Wolf Clan. In her tradition, dreams reveal the “secret wishes of the soul,” and the daily task of the community is to gather around a dreamer, help them recognize what the soul is saying, and then to take action to honor the soul’s purpose. For the Iroquois, dreaming is also about human survival. Dreams show us what is happening up ahead. If you see a future event you don’t like, you can take action to avoid that possible future. Dreaming is a way of connecting with the ancestors and of looking at the consequences of human actions down to the seventh generation beyond ourselves (as the Iroquois insist that wise leaders must always do). Island Woman taught Robert that the memory of a dream is the memory of a journey. It may have been a short visit to a neighbor’s place or a date with the lover you will meet three years from now. When your dreamsoul goes flying, she shared, it visits the future and brings back memories of things that haven’t happened yet. Sometimes you can stop those things from coming to pass. Sometimes you just have to live them out. And other times, you can tame a future you don’t want by acting out a little piece of it (enough to contain the event that is trying to come through). In short, Island Woman began teaching Robert a whole new way to enter into the dreamscape and access valuable information for living his life. As Robert investigated what was coming to him in lucid dreams, it became clear that his mentor was a master shaman traveling to meet with him from across time and dimensions. She needed information from her future, and she was eager to pass the wisdom of her dream lineage forward. To confirm the truth of this, Robert even had specific phrases that she used translated and verified; and they were indeed in her native tongue (which he did not know)! From this series of dreamtime trainings, Robert went on to become one of the world’s most renowned experts on dreams as the bestselling author of a dozen books on the deeper dimensions of how dreaming can enhance and transform the quality of our lives. He also became the creator of Active Dreaming, which synthesizes ancient shamanic practices with modern dream science and spiritual disciplines from around the world. What he learned from the Iroquois healer is that shamanic dream practices can open the portals to what he calls the “voice of the heart.” This voice beckons you to live from your deeper life purpose and manifest your best and bravest desires. The heart center is where you find courage to face life’s challenges, move beyond self-limiting beliefs and take the creative leap that can fill our world with magic and healing. The heart center is also where you experience joy and pain most deeply. It all begins with a shift in how we see dreaming, from a passive time of the mind discharging the day to an opportunity for guidance, wisdom, growth – and even initiation into higher levels of truth. With the help of dreamwork expert Robert Moss, YOU, too, can start to put these teachings into practice – turning your Dreamtime into one of the most exciting and transformative aspects of your day. More than anything, this free call event will illuminate a paradigm shift in how you relate to dreaming – opening your understanding of how to engage dreaming as a real spiritual practice in a way that connects you with a more fascinating and multi-dimensional reality. Join us for a mind-expanding hour! I invite you to join me for this mind-expanding hour that can open your life to new possibilities and the magic of shamanic dreaming. PS- Robert is a brilliant and fascinating teacher and will share a little-known lineage of shamanic dream practice from the Iroquois people that will challenge your very understanding of reality. Please go here to register or receive a free recording. Want 11 Free Coloring Mandalas? Sign Up to Get Yours!